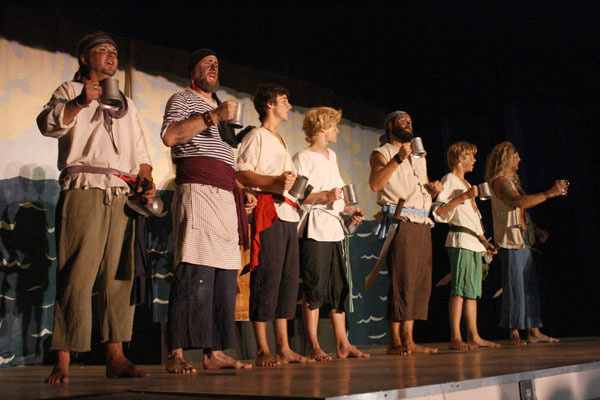 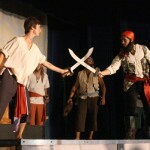 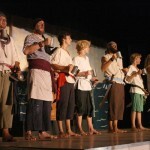 A Tale of Blackbeard is a musical play presented occasionally in the summer season as a community theater production on Ocracoke Island. 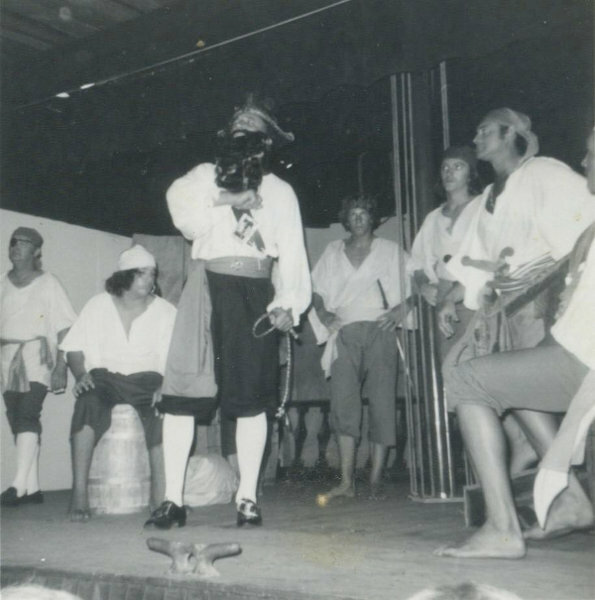 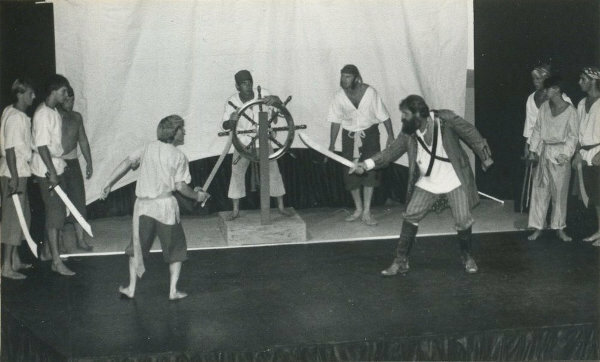 In 1973, Danny Garrish, an island native who was active in local theater, voiced the idea of having a play about Blackbeard which could be performed in the summertime for the entertainment of seasonal visitors. Blackbeard is likely the island’s most notorious historical figure; the infamous pirate roamed the Atlantic in the early 1700’s and met his demise in Ocracoke Inlet on November 22, 1718. 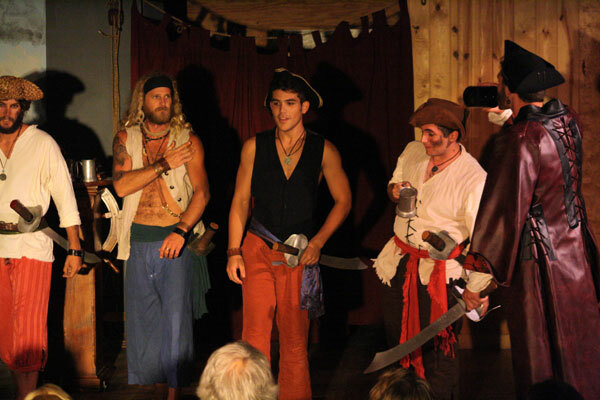 The notion of a pirate play intrigued Julie Howard, and the following winter she put together a script and fourteen musical numbers for A Tale of Blackbeard. 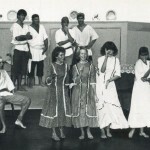 The initial cast of 25 played to enthusiastic audiences twice weekly during the summer of 1974 in the old Ocracoke School recreation hall, a former Navy Base building. 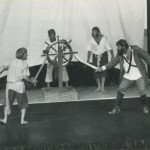 They followed with a second summer run in 1975, but then their “theater” was moved to make way for the school’s new gym. 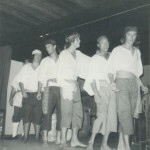 With no indoor venue, They tried outdoor drama for a year, performing the play in the parking lot of the Community Store. 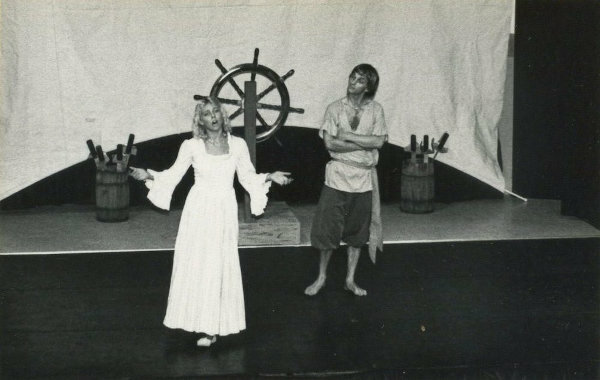 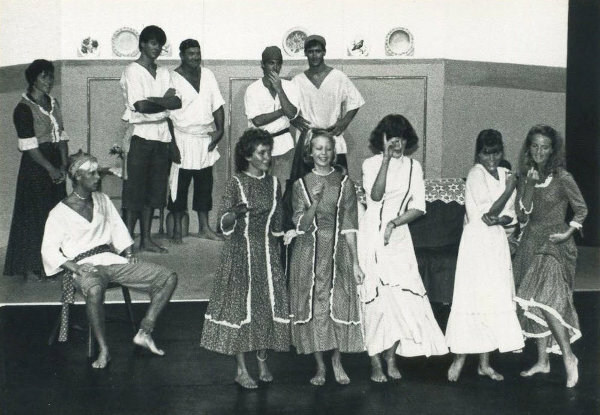 In this era they also formed the non-profit, Ocracoke Players, Inc., and in 1980 they returned to Ocracoke School, performing in the spacious new gym. 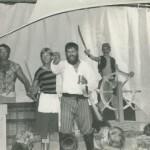 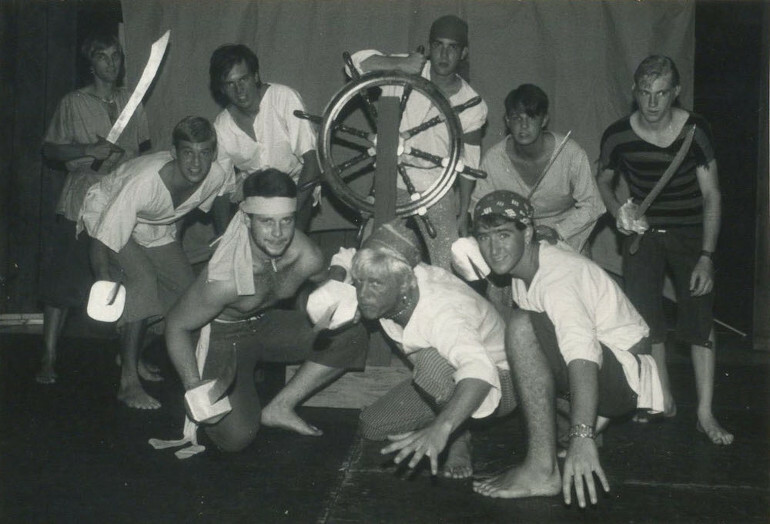 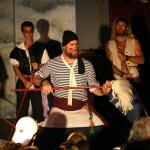 The 1980’s saw four summer runs of Blackbeard; during the 1990’s they produced two seasons of the show. 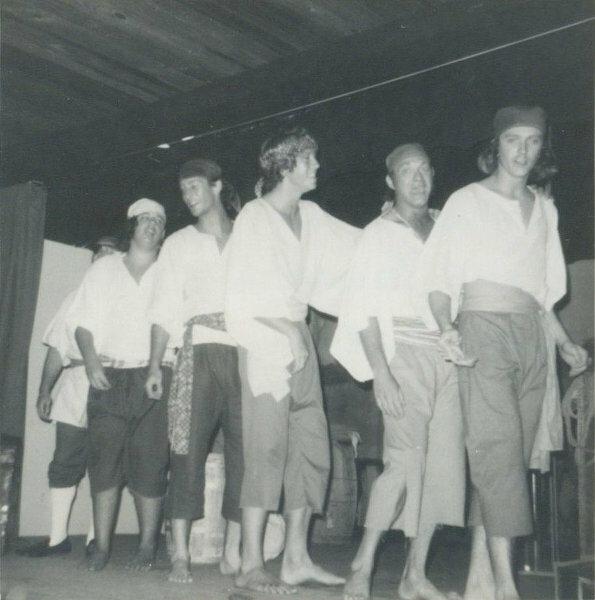 And then the Players took a long break, giving the play and its actors time to pursue other interests. 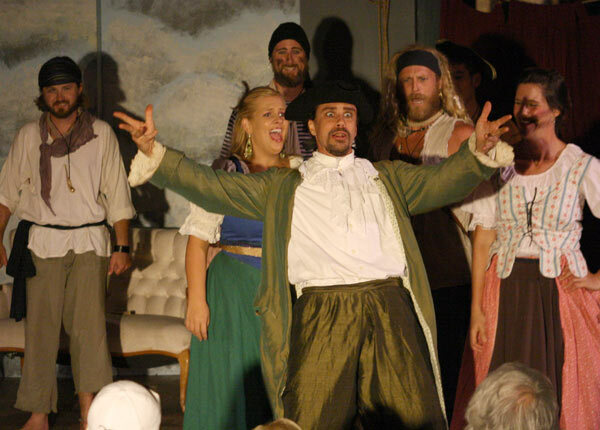 About four years ago, a groundswell of enthusiasm for reviving local theatrical and musical productions resulted in the formation of Ocracoke Alive, which assumed the old non-profit’s structure, changing the name, but keeping its mission statement to provide artistic, musical, and cultural activities for the benefit and enjoyment of Ocracoke’s residents and visitors. 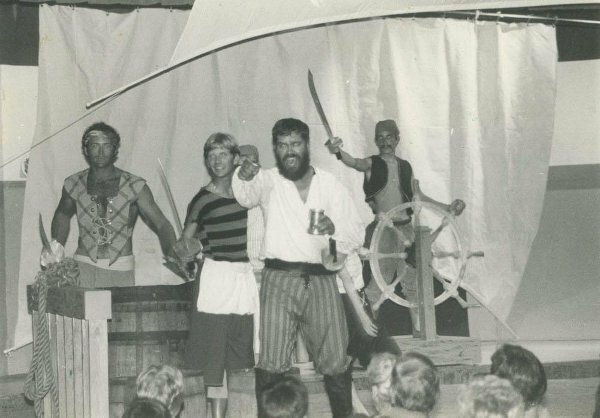 The revitalized organization brought back A Tale of Blackbeard for the summer of 2014 – its fortieth anniversary! 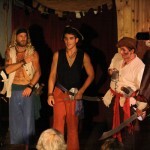 It played to a full house all summer. 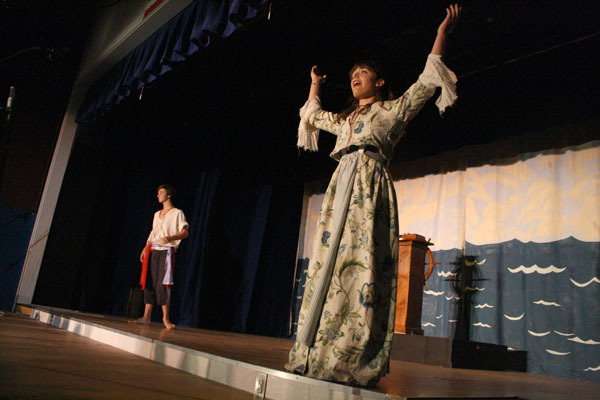 Please realize that this production is not historically accurate. 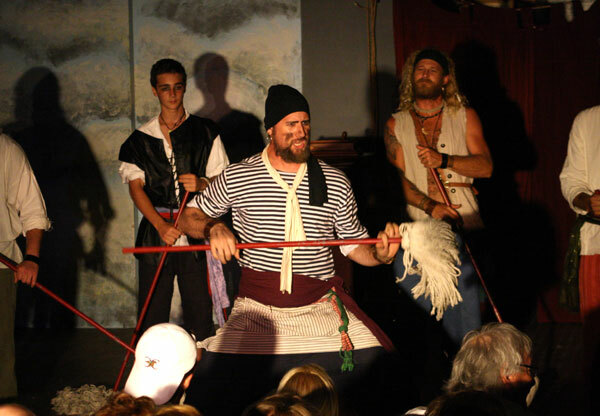 There are snatches of truth and facts woven into the play, but it is by and large purely a tale, loosely based on Blackbeard’s 1718 battle with Lt. Robert Maynard and on a real-life Ocracoke boardinghouse, run by islander Euphemia Curtis in the mid-1800’s. 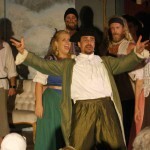 All else must be attributed to artistic license. 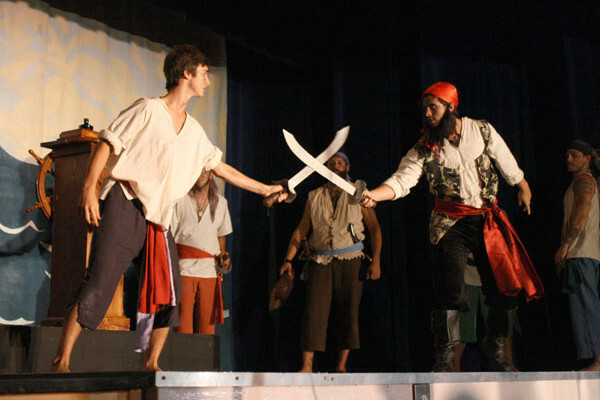 A Tale of Blackbeard is back for the summer of 2018. 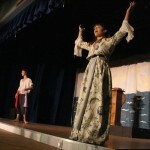 Ticket information.